We are all aware that brushing your teeth on a regular basis prevents cavities and keeps you smiling. But there are many other surprising benefits, including these eight that don’t have to do with your teeth! According to a study published in the Journal of the American Geriatrics Society, participants who did not brush on a regular basis had a 65 percent greater chance of developing dementia compared to those who did brush. So don’t forget to brush! As any dentists, hygienist or physician can tell you, regular brushing (and flossing) helps to prevent gum disease. But you may not know that along with causing stinky breath and unattractive smiles, gum disease is a major indicator of heart disease and the number one cause of tooth loss in adults. A study published in the Journal of Periodontology has shown that increased brushing decreases the risk of respiratory diseases such as pneumonia and COPD. Why, Bacteria which form on the teeth make their way into the lungs and respiratory tract, wreaking havoc along the way. Dental researcher Dr. Caitia Gazola has shown that having healthy teeth and gums increases the chances of having healthy babies, while dental disease can cause underweight pre-term babies. And men- you aren’t off the hook! WE strongly suspect that not brushing your teeth regularly can exclude you from the whole pregnancy process! Prevention Magazine has reported that regular brushing can help you maintain a healthy weight! Why? Brushing your teeth indicates to your brain that mealtime is over. Plus – food just doesn’t taste as good with squeaky clean teeth! Okay guys – here’s your turn. Several studies have shown that men with poor oral hygiene are at greater risk for erectile dysfunction. Scared yet??? Have a heart – a healthy one that is! 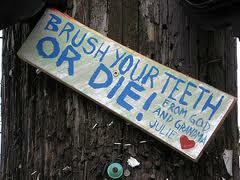 The American Journal of Medicine has linked dental health with heart attack risk. So if clean teeth, fresh breath, a beautiful smile and fewer cavities aren’t enough, here are eight reasons why brushing your teeth on a regular basis can save your life! Plus let’s face it – going around with a big piece of lettuce stuck between your chompers is not the most attractive look in the world! I know this Go Daddy ad sparked quite a lot of controversy after Sunday’s Super Bowl. Many were uncomfortable about the “geek” kissing the beautiful woman. Some were wondering about the appropriateness of that intimacy of affection during prime time. Frankly, as a dentist, some other thoughts also ran through my mind. So, with St. Valentine’s day coming up next week, now would be an appropriate time to share these thoughts with you. Did you know that bacteria can be passed between two people by mouth to mouth contact? The same goes with sharing your toothbrush. What about sharing that appetizer? Maybe a little smooching on the couch? Bacteria can be passed between people not just through toothbrushes or other dental implements, but also from shared silverware or any other mouth-to-mouth contact. Parents and children are not immune either, and bacteria can be passed between them. The family pet may even serve as the source of a bacterial infection.Did you know that the bacteria that causes juvenile periodontitis can be transferred from the infected site to an uninfected site within the same mouth? Even between a husband and wife, there can be bacterial transfer. Recurring dental infections are commonly caused by infected toothbrushes. In addition to dental problems, a toothbrush may also result in the formation of a bacteremia (bacterial infection in the bloodstream) which, if left untreated, can lead to endocarditis (infection of the heart). A typical toothbrush may be infested with various viruses and bacteria, which can then be transmitted to a new user. For example, if the toothbrush owner has the herpes simplex virus, 50% of the virus can remain on the toothbrush for up to a week. If you suffer from gum inflammation (gingivitis), you may be able to find relief by using a new toothbrush every two weeks. Wondering if it’s still okay to share a toothbrush with someone you trust? We now understand that oral infections are not restricted to the mouth but can move through the body and be transmitted that way to other people. You don’t need to become obsessive about your toothbrush, and you can still share a sample at your favorite restaurant, but for your own well-being and that of your family, you should develop a good dental health program. You can remove 100% of the bacteria on your toothbrush by soaking in an essential oils mouthrinse for 20 minutes. Another good way to clean your toothbrush is ultraviolet light. You may have seen a toothpaste that contains triclosan, a common disinfectant, that claims to clean your toothbrush; however, recent studies* show that this toothpaste is not very effective at removing bacteria. What are the best ways to eliminate the bacteria that are on your toothbrush? Place them under ultraviolet light, soak them in a mouthrinse with essential oils, or, perhaps easiest of all, replace your old toothbrush with a fresh new one on a routine basis. There’s not much you can do about the kissing since most people won’t want to give that up…just keep an eye on the health of your mate’s mouth! The French Fry – A right of passage? A right of passage: That first time you take your child on a fast food adventure , isn’t it cute when they take that first nibble on a crispy McDonald’s french fry, often drenched in ketchup. 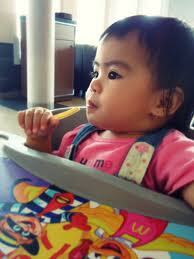 The child is so adorable, the french fry tastes so good. Nobody thinks for a moment how we are starting that child down the road towards a possible addiction to unhealthy foods, towards diabetes, obesity and other health issues that will plague them for the rest of their lives. That first trip to McDonald’s is commonplace in so many households here in the United States, and everywhere around the world, will start them on the path to dental disease including cavities and gum disease. From infancy, the routine of cleaning your babies mouth out after they have milk or formula is important. The sugar in the milk can cause decay from the time the first teeth erupt into the mouth. It is especially important to refrain from allowing children sip on milk, or juice in a bottle throughout the day and especially at night. Baby bottle, or nursing bottle caries are really a struggle for the parent and the child, when their baby teeth erupt into the mouth rotten from the sugar in these drinks. Really pay attention to food labels. Watch for the hidden sugars in a child’s diet that they might be consuming. Try and avoid processed foods as much as possible. Brushing after meals, and especially at bedtimes is critical, as most of the bacteria builds up in ones mouth at night when they are sleeping and their mouth is closed. Also, ensuring that they develop healthy routines when it comes to brushing and flossing, starts when they are very young. In fact, one of the best things you can do is let them watch you as you brush and floss so they can emulate some great behaviors. Sealants, which are a thin plastic coating, a protective layer that should be placed on all of the back teeth, once they have erupted into the child’s mouth, have shown to significantly decrease the amount of dental decay a child will get in the grooves of their teeth. Finally, soon after the teeth start coming into your child’s mouth, is the right time to take them on their first visit to a dentist. Let them get used to the environment. It will help to prevent them from developing a fear of the dentist, that their parent’s might have had. It will also allow the dentist to evaluate their teeth and make sure to prevent and detect any dental problems before it will arise. Let your children develop a lifelong healthy relationship with one of the best preventive healthcare providers they will have for their entire lives. Ok, this is the mantra that I tell my teenage son all the time. He should be happy, thankful, and grateful. That’s our mantra. We should be happy for all of the many blessings that we have in our lives. Thankful that although we may not have some material possessions that others may have, it does not matter. Grateful we have people in our lives that love us, that we have our health, and that we are able to do things that may in some way help to make someone else feel better, or improve their lives in some way are the things that should give us so much joy. 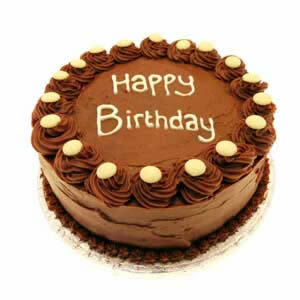 Well, today I was inundated with cakes, cupcakes, flowers, gifts, food, and so many, many wonderful wishes. Today is my birthday. Not a reason to blog, no real information today, however, I did want to make sure I told everyone, my wonderful family, my wonderful friends, and my Morningside Dental Care family, our patients and my exceptional staff (woot, woot!!! ), that I am so happy, thankful and grateful to have them in my lives, and I cannot express the pure joy that I have of knowing them. Thank you for making my birthday so very, very special!!!!!!!! Tomorrow, I will have time to write a blog. ps. I truly overdosed on sugar today. Well, here is a dental healthcare tip. First, drink copious amounts of water as soon as you are finished eating the sugary food. Make sure you brush and floss to raise the ph of your mouth to decrease the exposure of acids. 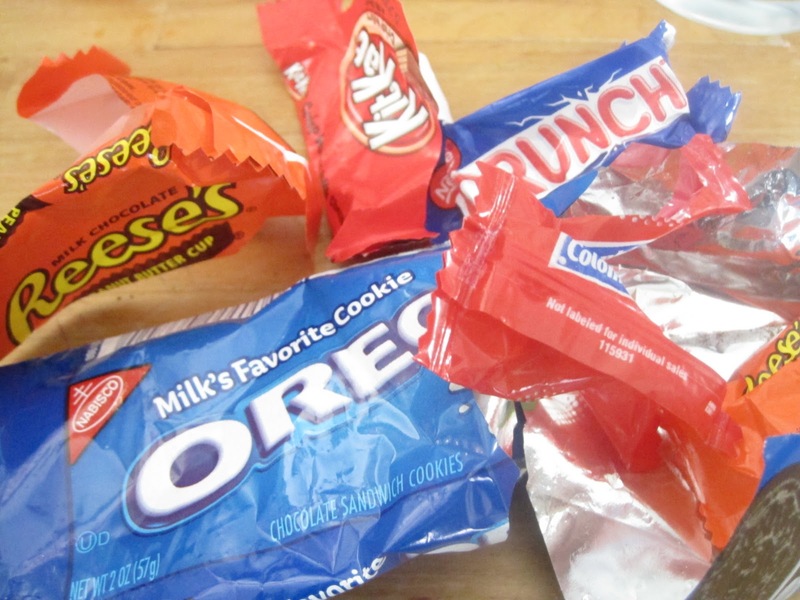 Finally, it is much better to eat all of the junk food in one sitting, and then throw the rest of it out, instead of nibbling on it over a few days. If you eat it at one time, the ph of your mouth only drops one time. If you eat a little bit over time, the ph of your mouth goes up and down like a yo-yo. Every time you decrease the ph you increase the frequency of the acid buildup in your mouth and you are more prone to decay and cavities. So if you must binge, do it all at once and then get rid of the rest. Have you ever really thought about what you eat for breakfast? Most people choose a hot or cold cereal, or some type of microwaveable meal. And some choose to eat something that is definitely unhealthy, like a muffin, doughnut or some other sugary delight while buying that morning cup of coffee. The unhealthy choices are usually made while running late for work or school, and this is definitely not the way you want to start your day. Yes, grabbing junk food for breakfast is the easy way and we do it without thinking. But that is the point- Stop and think about how you want to start your day. 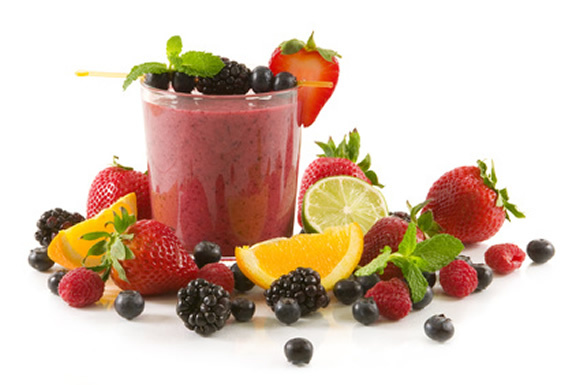 A healthy smoothie (fruit/veg combo…but leave out the sugar!) or a meal containing protein would be a better way to begin a day that is, probably at some point, going to include some stressful situations. If you start with a breakfast that is healthy and nutritious, then you are going to have the right tools to fight with when it is time to deal with stress during your day. And as we all know, stress is not good for your health or your teeth; stress may make you clench and grind your teeth, often subconsciously. We need to make better food choices for all of our daily meals, for both for our health and our dental care. So, set the alarm to give you a few extra minutes in the am, and make a healthy choice for breakfast tomorrow. I figured that before I post too many blogs giving my insight about dentistry and thoughts I have, I also must make confessions of my own and really divulge where my perspective originates from. As a newborn, my son (who is now a teenager) was very ill. He was a 2 lb 1 oz preemie who had to be hospitalized over 9 times during the first 2 years of his life. He was placed on a ventilator to help him breathe many of those occasions and he even coded once. Having been in the healthcare profession and with family members who were health care practitioners and physicians, I felt the medical profession should be able to cure patients and make them better. One of the times he was intubated ( on the ventilator) I asked the pediatrician “what is it we are going to do to make him better to fix him”. Wonderfully, the physician explained that “the only thing we as physicians are able to do in this case is to give him oxygen, support the airway and keep it open, the body has to do the rest”. It was in that moment and while my son was healing that I began to truly understand just how fascinating and complex the human body truly is. It is where I came to see that the key a long and healthy life is to keep the body strong and in proper shape. It was also at that time that they were offering fellowships in holistic dentistry with the Institute for Natural Dentistry. I enrolled in the program right away and it truly opened my eyes to an entirely different world of wellness; mind/body/spirit interrelationship; energetic pathways; nutrition; and the list goes on… It really allowed me to truly understand that the teeth do not walk in on their own, but are attached to a body, and the interrelationship between the teeth and the whole individual. Well around that time, you can say that I became a “food nazi”. I really watched what I was eating, made sure my son only had organic, healthy food, no sugar, he took every vitamin supplement he should have, etc. Well, or so I thought. After a while, this toddler would find ways to spit out just what he didn’t like. “Oh, no Mommy, I just won’t have that”, and he said it so politely. I would try and hide the supplements in the food. He would find it and spit it out. It has become a never ending struggle. As he has gotten older and in school with other children, the challenges have become even greater. When you share your food with others and they share back, it’s when you really get tastes for sugar and other foods that may not be so good or healthy for you. Then, the first time this happened I was shocked. I went to make up his bed and found candy wrappers in the bed! Not only was he eating the sugar, but he was leaving the sugar to bathe in his mouth all night long – a dentists’ nightmare! We have had our moments. We have had our struggles. I have really, really relaxed my habits. As adults, we have our challenges that we have to deal with ourselves. At one point, I became frustrated and felt there was nothing I can do. We went, as they say “buck wild”. But there is no way you can be in the dental field, and see all of this sugar addiction and the health problems it causes and just do nothing. These experiences have really let me know how strong an addiction sugar really can be. It has also let me know that in this society, and especially living in New York City, it is very difficult to control the environment and here children have access to so many things. What I do know that is great is that as he is getting older, he is learning how do make some better choices. That is my hope and shining star. As parents it is our responsibility to always try and help them understand what is best for them, but also, not just leave things and say it is hopeless, but just keep trying. So that’s what I do.